Think that art and commerce make strange bedfellows? Think again. 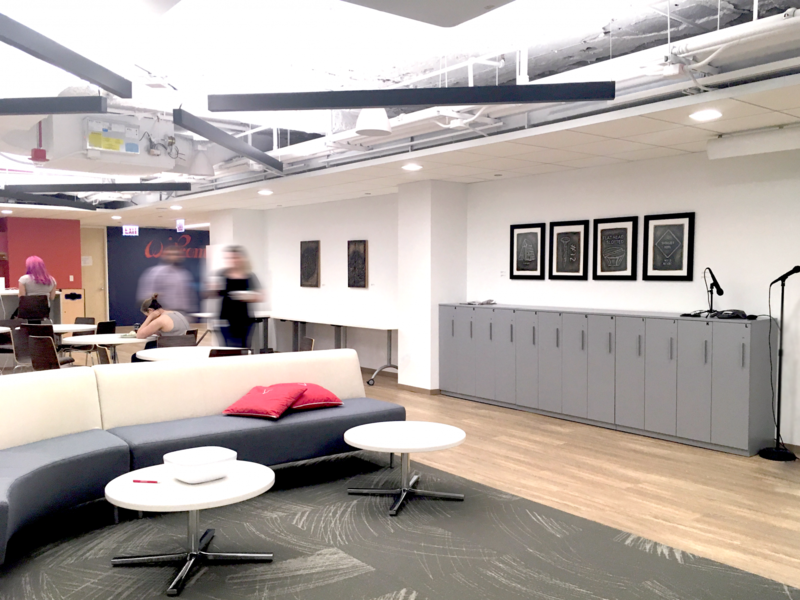 Signal’s new downtown Chicago office isn’t just a hub of technology innovation; it’s also home to The Spotlight, a gallery installation featuring the work of area artists. 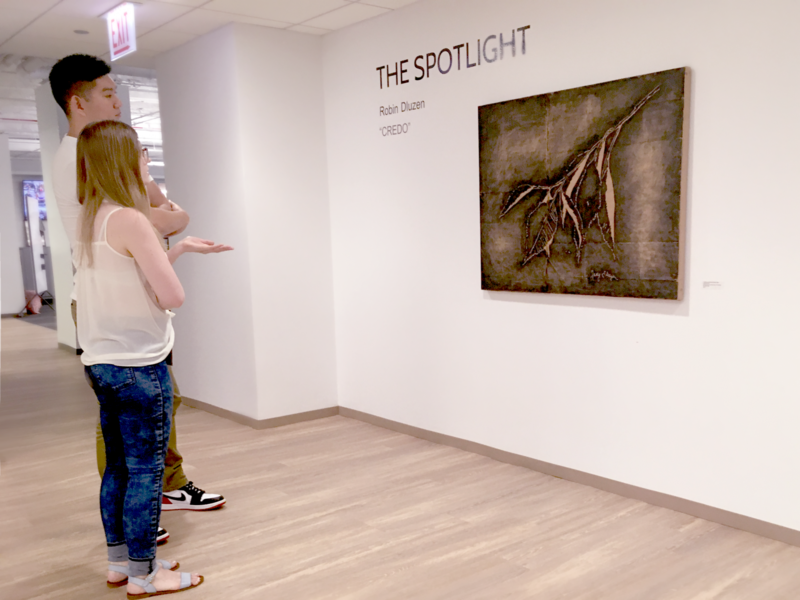 The Spotlight’s first installation features Chicago’s Robin Dluzen, an artist previously highlighted in venues across the U.S., including Boston’s Dorchester Art Project, Indiana University Northwest and a range of Chicago galleries. 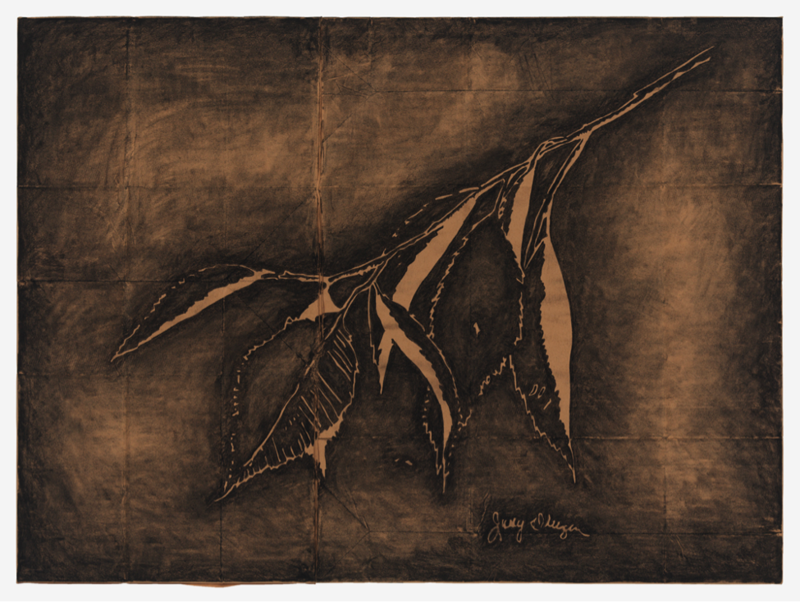 Dluzen’s work draws inspiration from her upbringing in nearby southeast Michigan: The 10 pieces Boyer selected for the gallery, completed on utilitarian materials like cardboard and lawn bags, are based on botanical illustrations created by Dluzen’s mother during her 30-year career as a horticulturist, as well as doodles by the artist’s father documenting his formative experiences working in an iron foundry. All of the Dluzen pieces adorning Signal’s walls are for sale, ranging in price from $500 to $2,500. Signal also is paying Dluzen and all subsequent Spotlight-featured artists a stipend of $500 for loaning out their work.